N+1 wins EVE. This is a widely understood phenomenon that results naturally from the EVE ruleset. Bring one more guy, and all else being relatively equal, you will win. The caveat is that ‘all else being equal’ hides a lot of information. Technically the way you win EVE right now is like this: You put as many titans on the field as you can. You put as many supers on the field as you can, once you’ve maxed on titans. Finally, you put as many Archons on the field as you possibly can. (This is in order of importance, you actually see things show up on grid in the reverse order.) Also a few people use alts to suicide ‘Dictor bubble the field. +1 Rifter on either side is next to meaningless. It might annoy a suicide ‘Dictor at most. If you want to be one of those +1 in the N+1 formula, the minimum investment is a couple billion ISK for an Archon. If you really want to matter as a +1 you get a titan somewhere around a hundred billion ISK. My point is that there is a minimum requirement of investment for a pilot to make a difference. Even if capitals did not exist, a Rifter would be useless in a Tengu VS Tengu environment or a Tempest Fleet Issue VS Apocalypse Navy Issue environment. We used to have arguments between those who liked capital dominance (because they had lots of capitals) and those who wanted subcapitals to substantially matter (because they had metric loads of people). That argument has fizzled out because the blobs of pilots have sensibly put in the cash to become capital fleet owners. The hilarious result is that those who used to defend capital dominance by invoking the image of “force multipliers” allowing the “elite” to stand up to hordes of unwashed pubbies, have been beaten at their own game as a significant portion of those pubbies have shipped up to capitals. The argument was always about what the minimum buy-in should be. This was resolved when the loudest dissenting party paid the buy-in price and won the game. But we should not let the argument about capital power die. Before Pheobe, capitals were balanced among the power blocks because when one of them screwed up they could lose big to the other blocks. Black Legion and Pandemic Legion had been skirmishing across the map for years. Sometimes we (PL) would win. Sometimes we would merely be Revenant. Asakai happened when the CFC screwed up and the other blocks showed up to punish them. B-R5 was the result of PL mistakes that the CFC and friends capitalized on. This also happened on the small scale. You might still hear the story in PL about the legendary stupidity of a particular titan pilot who decided to smartbomb a gate. He died to a coalition of small local entities who together dropped a bit less than 100 dreadnoughts on him. Capital combat was fast, brutal, and unforgiving. You always had to suspect ambush. Any mistake could be fatal. Then Pheobe wiped that away. 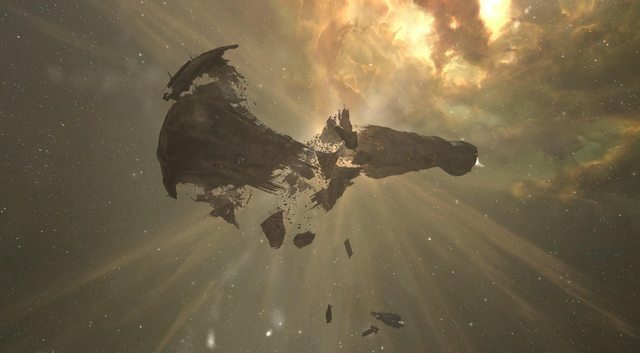 After the patch, Black Legion tried once to play EVE in the pre-Pheobe style. I wrote an article on this. TL;DR? The ongoing feud between the legions died in Faspera. We have not taken our capitals across the map to fight each other since then. The dreams of Brave Newbies died in the field at HED-GP. Tackling a capital fleet, wiping out its subcapitals, and sounding the batphone would not help any more. Pheobe did this even as it let lowsec powerblocs spread their wings to take flight. So we find ourselves facing a problem that goes something like this. Getting into the N+1 game is prohibitively expensive. Take how much one side lost in B-R5. To be as good as a bunch of dead losers you have to spend at least that much. Then it is hard for these fleets to engage each other. It takes a week to move an entire capital fleet into proximity of another, which is not a safe thing to do when you’re the smaller fleet. There is plenty of space for one entity to run away from another, maybe because they have the smaller fleet. Having a capital fleet is a ticket to dominating small local groups which disincentivises losing yours. And even if two equally matched groups clash, a B-R5 level reimbursement is not sustainable if it happens with any frequency. If you whelp your capital fleet you lose great power status very quickly. It is not very surprising to see the great EVE superpower, and the remaining great powers leaving each other mostly alone. At best, the political process sees someone get thrown off the bus, now and then. I think a nerf is coming. I see it on the horizon. I do not know how it will be accomplished. Maybe they will call it a ‘rebalance.’ I am just sure that CCP’s long term plan must account for capitals. They loom over everything else. Yes, when you skirmish each other in Fozziesov you do not see many ships bigger than a Thrasher. But when you really want to win a fight, the capital ship is still king. If I had to speculate, I would look to Manfred Sideous’ reddit post on the matter. The article was taken less seriously than it probably deserved to be because some of the imagery was a bit silly. You could say Manny space harpooned himself. But that is the thought process being presented to CCP from at least one CSM. Do not forget that he is the guy whose brainchild was fatigue. (Thank you very much for that by the way.) While I do not like fatigue, his ideas were obviously very influential with CCP. Manny wrote the article which served as the blueprint for Pheobe, kicking off this long term vision thing that CCP is doing with fatigue, Fozziesov, Citadels, player-built stargates and who knows what else. He is a prominent FC, the theorycrafter who designed the winning EVE doctrine for Dominion sov, and well respected in the community. 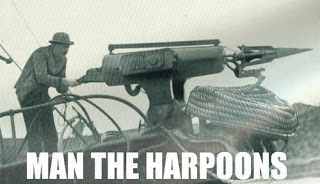 The core of Manny’s idea is harpoons in space. Or not. Actually it boils down to something like this: Titans and supers become dirt cheap, 3-5 billion ISK for a super and 15-20 billion ISK for a Titan. They lose their massive EHPs going down proportionally with the cost reduction. Presumably, their other abilities also take a nerfhammer proportional to the cost reduction. For one, Manny tells me doomsday damage would need to be low enough that fielding a titan did not mean getting to watch three other titans blow it off the field in an instant. Dreadnoughts become useful in fleet fights by letting them do good damage out of siege to capitals (not subcapitals). That makes it so they can receive reps in a capital fight. Carriers have their killing subcapitals role and their remote rep role separated. We get two new hulls in place of the old carriers; one of which is a capital remote rep ship, and the other of which is a drone platform. The Rorqual becomes a capital mining barge that has to siege. Every kind of capital gets a ship maintenance bay and corporate hangar so that you can choose which one you like to fly, and have that one be your suitcase. As visions go, this has some merit. There is the initial issue of potentially needing to reimburse super and titan pilots for the massive devaluation of their ships. But once we get past that, we have a lot of upsides. Pheobe becomes a great deal more palatable. Losses will be more tolerable, so the great powers will be less risk averse. Newbies can buy into the big leagues at a fraction of the previous cost. The PL VS Brave saga may have had a different conclusion in that context. Separating out carrier abilities creates more diverse fleets. You would need to develop a doctrine that was more sophisticated than ‘lots of Archons.’ The relevant analogy for what the current slowcat Archon does is a Scimitar with 600 DPS in addition to its repping ability. We would not fly any other kind of subcapital if that monster existed. And while this makes capitals weaker, Manny’s more colorful ideas are oriented to giving them enough utility to be worth using on a regular basis, not just when it becomes time to stomp somebody with a wrecking ball. I do not know if Manny’s idea will find a place in CCP’s heart, or if some other thing will, but change is coming. Also I get to shout, “MAN THE HARPOONS!” at my fleet.